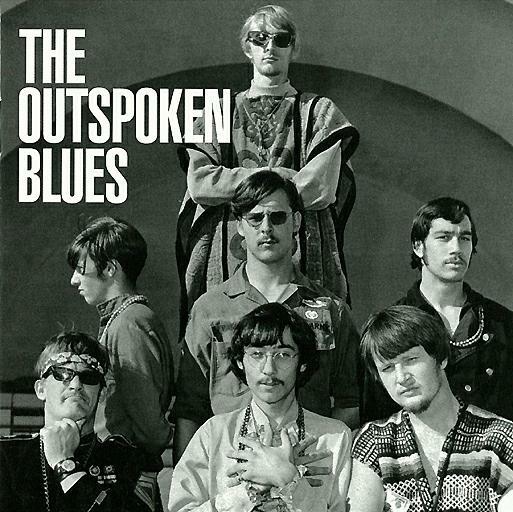 If you've never even heard of the band the Outspoken Blues, they were a Chicago garage collective that existed from 1967-68. I've only discovered them recently myself - thanks, of course to the Internet. About every track on this seventeen song compilation shows you what this band was all about. Believe they only put out a couple of 7" vinyl 45's - no album but this Swiss import CD is notably the Outspoken Blue's entire repertoire. I was digging both versions of the old standard "Mister, You're A Better Man Than I" although I have to admit that I like the Yardbirds version a bit more. Also, I was caught off guard with their outstanding original tune "Not Right Now" (should've been a nationwide hit), "I Can't Make You Love Me", the soulful "I'll Stay", the AM pop-like "Sitting On A Sunday", the catchy "All Your Love" (nice song arrangement) and the foot-tapping "Poor Rich Man". Then there are two rare cuts of a post-Outspoken Blues band, The Bryds - sounds to me like it was faithfully mastered off a 45 single. Really liked "Your Lies" and the so-so "Why Did You Have To Break My Heart" - the assumed B-side. CD comes with an informative 12-page booklet, which features an in-depth interview with band member Jim Stanley. It's mentioned that these songs were definitely recorded in a rather 'primitive' situation, at least by today's standards. Sound quality does have that '60's vibe and feel to it. To me, that's a good thing. Core line-up: Jim Stanley - tenor sax, lead & backing vocals, Bill Kirchmeyer - guitar, Dave Luoma - bass, John Pencak - organ and Bill Levak - drums. Recommended for - several (like) obscure '60's bands that some of the groups just maybe put out a 7" single or two - such as The Groop, The Poets, The Plague, Shadows Of Knight, The Lyrics, maybe the Dutch psych band The Outsiders and possibly even Lovin' Spoonful. Didn't notice it at first but the CD itself is a picture-disc of the original label of their "Not Right Now" single. Very nice.